“Why do you need a laptop?” asked my husband. “Because I write a lot,” I answered. It was true. I do write a lot, and the days of quills and carrier pigeons are over. I do need a device with which to write and email. “Yes, but what’s wrong with the tablet and keyboard you’ve been writing with for years?” he pushed. It was a valid question. I’ve been using a tablet and wireless keyboard since I began writing professionally. But I told him I wanted the keyboard attached to the monitor. My ever-helpful husband pointed out the many contraptions offered by Best Buy to fulfil this wish. There were full-sized keyboards so I didn’t have to fiddle with the tiny portable one. There were docking-station-things to allow the tablet to sit right inside the keyboard. Voila, problem solved. And it’s true, that would solve the problem of the detached tablet. And that combo wouldn’t be much smaller than the Chromebook I had my eye on, which also ran all the same aps as the tablet. And those contraptions were about $30, versus the several hundred I would need for my laptop. But the problem was, that wasn’t actually the problem. I didn’t want a laptop because it was better, or because I disliked what I had been using. I wanted a laptop because it would be mine. And only mine. When I turned on the tablet, it opened to the family account and I would have to switch to my side. When I wasn’t writing, the kids nabbed it for playing games. It worked perfectly, but it wasn’t mine. 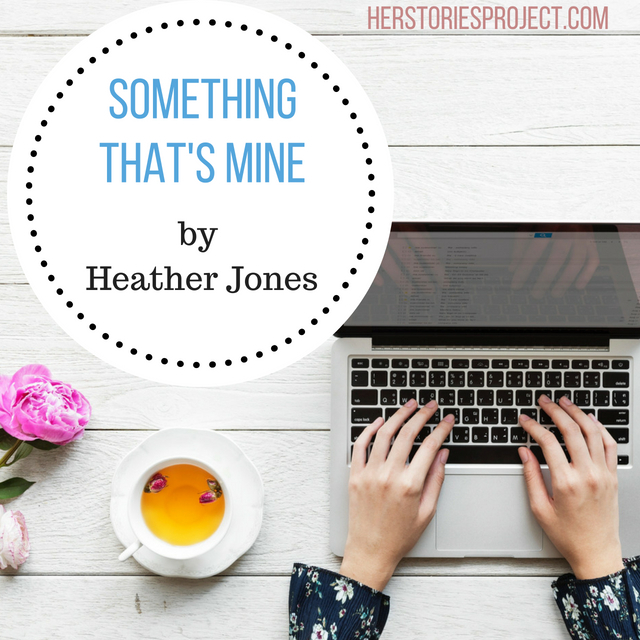 Spending several hundred dollars on something simply so I didn’t have to share it seemed foolish to my husband, and honestly, if he had said the same to me, I would have told him there were better ways to spend the money too. So I didn’t push it. Christmas passed, so did Valentine’s Day, and unable to justify such a big purchase for myself without occasion, I figured the laptop was a pipe dream. Then I opened my birthday present. There it was. A little white Chromebook: simple, basic, nothing inherently special. But it was mine, and no one else’s. I couldn’t contain my excitement. I treated this laptop like a new baby, sending proud pictures to friends, and browsing for items with which to spoil it. I immediately ordered a personalized skin to put on it, further establishing it as my own personal possession that no one else is allowed to touch. I dug out our old laptop bag and ordered some enamel pins to reflect my personality. There is no question of who it belongs to, and I get a small thrill whenever I take it out. If you think this is weird for an almost 40-year-old, you’re probably right. I fully acknowledge that I am acting like a 16-year-old who just got her first car. The thing is, it’s the first thing in a long time that I can truly call mine. The kids have their prized possessions, my husband has his, but nearly all of my stuff is communal. I can’t even buy a box of cereal without it being raided. If I find some extra change in my wallet, I inevitably use it on something for my children. It brings me joy to get them something every now and then, and their stuff is way cooler than anything I want. I’m not fancy. I don’t wear make-up, or use a purse, or enjoy manicures. I’m pretty low-key, so it’s easy to get excited over something for them. And it’s hard to justify impulse purchases for myself. But one day, I looked around and realized that in a house full of stuff, nothing belonged to me. And it gave me a bit of an existential crisis. Not having any belongings made me feel a little bit like I didn’t have an identity. 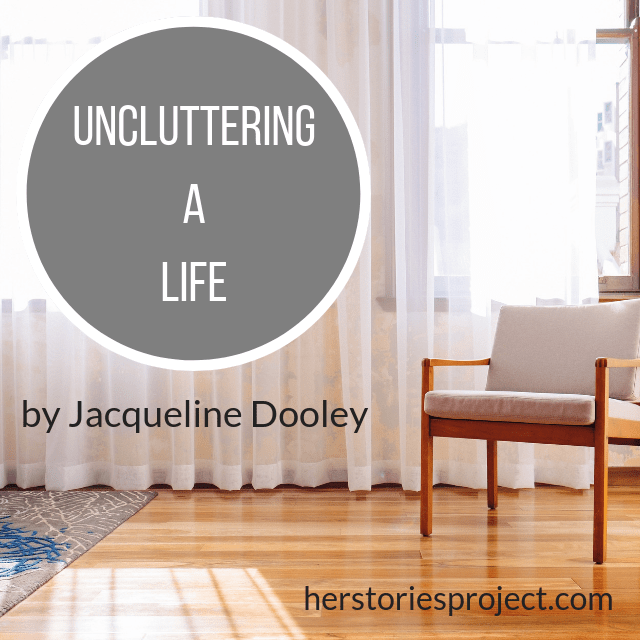 Sharing all of my possessions became a metaphor for giving away all the parts of me, holding back nothing for myself. My family may be the biggest part of me, but I can’t give them everything. I need some of me for – me. I needed something to call my own so that I could feel like it was okay to be selfish sometimes. I can say, “No, that’s mine” and mean it. I need some things that are off-limits, within and without myself. I needed something that belonged only to me so that I could remember that I am more than someone’s mom and someone’s wife. It’s a lot of pressure to put on a laptop. It might even be a little unfair to ask a little computer to be the keeper and protector of my identity, but so far, it’s managing the task. And as metaphors go, it’s not surprising it was a laptop I chose to be my one true item. It’s what I write with. Writing: the other thing in my life that is mine alone. My words, my thoughts, my emotions, my talent. The way I share myself with others. It’s the tether between me and the world outside. Of course I was drawn to the laptop. I’m sure as I wade further into middle-age, I will push harder to stretch my identity. Maybe one day, I will even feel like a whole person. But for now, having this laptop, this one item that is just mine, will do. Heather M. Jones lives with her husband and two children in Toronto. 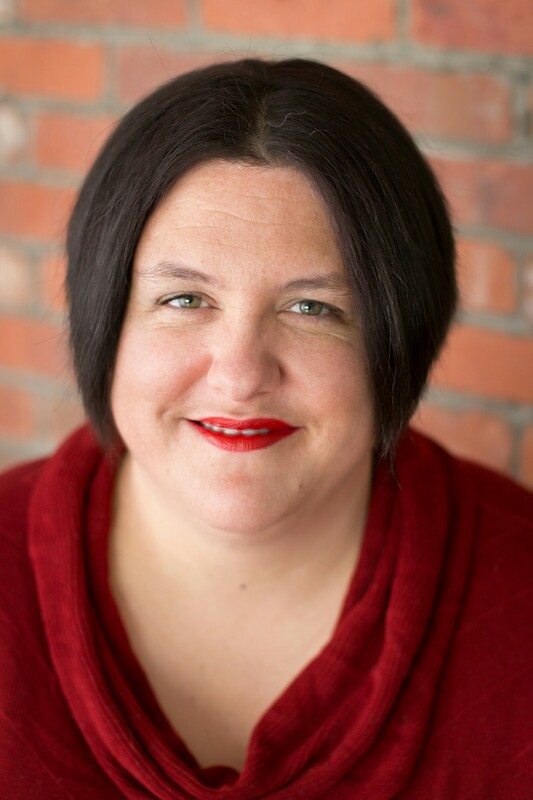 When not writing, she can be found cuddling with her cats, binge-watching Netflix, and replaying every decision she has ever made in her life. Not all women experience a midlife crisis in their forties, or at least not in the same way. Midlife can also be a time of new starts and new beginnings. 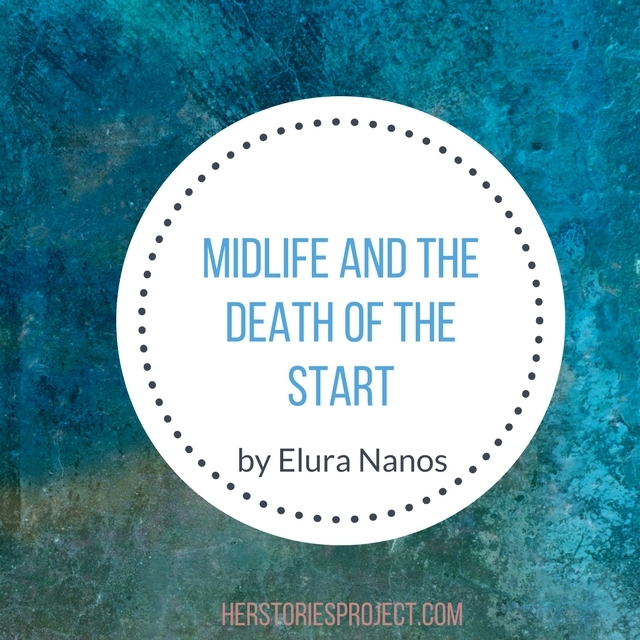 Elura Nanos shares how she has come to look at midlife in a new way. For a little while now, I’ve begun to feel the slow suffocation of being “in my 40s” – an entire decade reduced to one phrase as proof that until 50, the exact number doesn’t really matter. The lack of oxygen here was pretty surprising upon my arrival. I’ve never been age-phobic. I don’t get chemical peels or buy anti-aging serum. I don’t get all weird and somber on my birthday. I don’t have grey hair, and the lighting in my bedroom isn’t nearly good enough for me to obsess over the wrinkles that probably frame my eyes. None of that is to say that I haven’t experienced physical signs of aging. Of course I have. But because I’ve never been the kind of chick who traded on her looks, I can’t say I’ve been shattered by the reality that I no longer turn heads when I walk into a crowded room. I was never that chick. Same goes for the physical slowing; even in my prime, the extent of my athleticism was completing a Target Trifecta (sprinting through cosmetics, groceries, and accessories) during a 45-minute lunch hour. That, I can still accomplish with agility, as long as I’m wearing the right bra. As a primarily intellectual person, aging has mostly made me better. As my cache of personal experiences has grown, I have become more knowledgeable, more confident, and more empathetic than the younger me had been. I’ve honed the skills I have acquired, and I’m more efficient than ever. I heal faster from heartbreak, I forgive faster after betrayal, and I learn sooner after failure. I give more of everything now — with the exception of fucks; I gave my last of those around age 39, and then promptly let my subscription expire. Here’s the problem, though. By our fifth decade, we are good at things. When I first realized that my starts were dwindling, I mourned them. I turned over the memories in my mind – the first kisses and move-in days, the orientations and the baby showers. I reveled in their beauty and promise, and placed them gingerly onto the mantelpiece of my mind. But I knew remembering would never really be enough; hoarding my old starts started to feel like the emotional version of collecting shot-glasses — whimsical at first, but ultimately, pretty lame. I wanted more starts — new ones — and I was determined to find some. Once I began looking, I was surprised by where they turned up, and gratified to learn that they hadn’t lost their luster. When I tried new activities or traveled to new places, I awakened (or perhaps created) new parts of myself. When I put down the heavy load of always knowing what to expect from myself or others, I found that my hands were free to grab the starts that fell along my path. Some of those starts were professional, others personal – but they all fed my spirit. 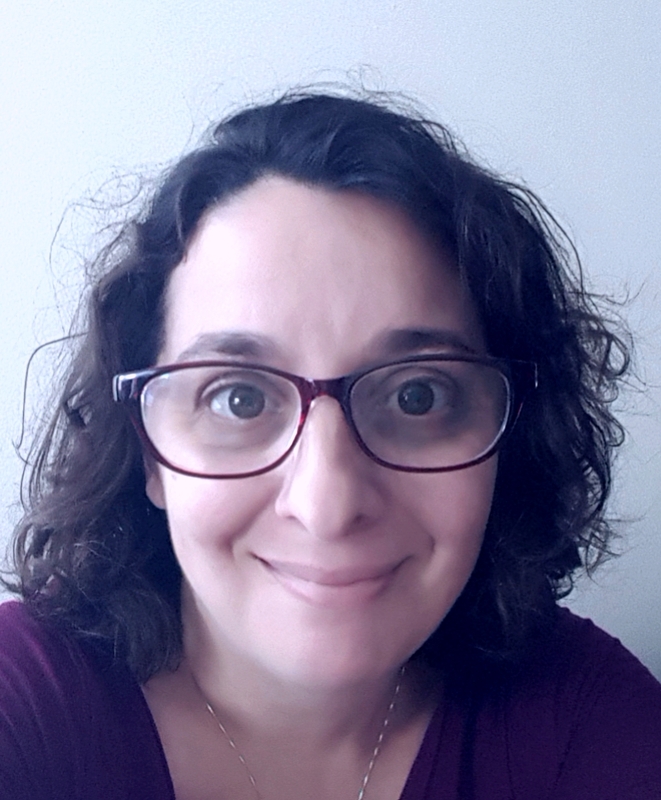 I consciously focused outward, instead of inward, and channeled my younger self – that girl who wasn’t so fixed in her understanding of her own identity. I talked less about subjects about which I am an expert, and started listening more to those about which I know nothing. I spent more time around people in their 20s and 30s, and I stopped giving them so much advice; instead, I focused on soaking up their enthusiasm and their uncertainty. If I could see the world for the endless ocean it is, instead of clinging to my small raft of personal experience, I just might get somewhere. I still have quite a bit of life to live, and I think I have learned what to do with it. Be new at stuff. Be bad at stuff. What matters isn’t the outcome – it’s the deliciousness of the start. We do reap what we sow. And there is great satisfaction in the harvest. But there is great excitement in the planting. I choose not to live at the finish line. I choose the start. 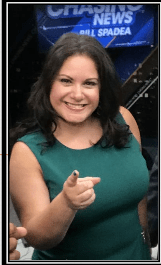 NYC Prosecutor-turned-entrepreneur, Elura Nanos is a seasoned TV lawyer. She’s starred in her own reality show (OWN’s Staten Island Law), in several celebrity gossip series, including Celebrity Damage Control (currently airing on Reelz), and many news and talk shows (Fox News, Chasing News, Law & Crime Network, Anderson Cooper Live, and Say Anything WithJoy Behar, just to name a few). She’s currently a columnist with Law and Crime, where she writes political and legal analysis.